Algerian Christian Slimane Bauhaus (51) is serving a three-year prison sentence for blasphemy against Islam. Arrested in July 2016, he was originally sentenced to five years’ imprisonment and a heavy fine, but the sentence was reduced to three years on appeal and the fine was dropped. In July 2017, President Bouteflika granted Slimane a partial pardon, reducing the sentence by a further 16 months. LATEST NEWS (MARCH 2018): Slimane was released from prison on 31 March, having served his twenty-month sentence. A former Muslim, Slimane became a Christian in 1997 and was baptised in 2006. He was arrested for posting a Facebook message about the light of Jesus overcoming the “lie” of Islam and the Prophet Mohammed. He also shared articles and cartoons considered insulting to Islam and published photos showing the execution of a civilian by an Islamist terrorist. Slimane belongs to a separatist group called the Movement for Self-Determination of Kabylie (MAK), and is chairman of the St Augustine Coordination of Christians in Algeria, which defends minority rights and freedom of religion. The heavy sentence is thought to be a way of silencing his political activism. Slimane was arrested on 31 July 2016 near his house in Bousselam, Sátif province, in the Kabylie region of northeast Algeria. He was brought before the prosecution without access to a lawyer and was jailed in Sátif prison, where he began a hunger strike in protest at his arbitrary detention. He had to end the hunger strike after several days when he became gravely ill.
On 7 August 2016, Slimane appeared before a judge in Sátif town (300 km from the capital, Algiers) and was convicted of insulting Islam (which is the state religion, according to the constitution) and the Prophet Mohammad, a charge punishable by three to five years in prison and a fine of 50,000 – 100,000 Algerian Dinar (the equivalent of approximately €410 – €820). He was given the maximum sentence and the maximum fine. Slimane was denied access to a lawyer throughout his pre-trial detention, interrogation and first-instance trial, and was only able to access legal counsel during his appeals trial. The Algerian Protestant Church led the appeal, and LADDH appointed lawyers to defend him. The vast Kabylie region has a strong sense of regional identity and resists the control of the central government in Algiers. It is mainly Berber, while the rest of Algeria is mainly Arab, and is home to most of Algeria’s tiny but fast-growing Christian minority. The authorities regularly harass and even arrest MAK activists. Kabylie has a history of harbouring armed groups – the region’s forests and mountain caves provide cover for guerrillas. It was a refuge for fighters during the Algerian War of Independence against the French colonialists, and in the 1990s, during the Algerian Civil War, became a hideout for the Armed Islamic Group, which later became Al-Qaeda in the Islamic Maghreb. The Algerian army regularly carries out searches in an effort to eradicate terrorism. Slimane’s family members denounced what they called a “sham” trial and say they are deeply concerned as he suffers from inflammatory rheumatism and his health has deteriorated in prison. Slimane’s daughter Thilleli says he needs to follow a special diet that is unavailable in jail, and that his condition worsens under stress. She said her father lost half his body weight in the first two months of his incarceration – his family members described him as “unrecognisable” and said he was severely weakened. They said he lost consciousness at least three times and was taken to hospital on several occasions. He has been denied access to medical treatment in prison. Another daughter, Afaf, says her father has always defended the interests of his country and is known for his commitment to democracy and religious freedom in all his Facebook posts. 31 July 2016 Slimane was arrested for posting a Facebook message about the light of Jesus overcoming the “lie” of Islam and the Prophet Mohammed. 7 August 2016 The Court of First Instance in Beni Ourtilane convicted Slimane of insulting Islam and the Prophet Mohammad. He was given the maximum sentence of five years in prison and the maximum fine of 100,000 Algerian Dinar (approximately €820). 6 September 2016 The Court of Appeals in Sétif upheld Slimane’s conviction but reduced the sentence to three years and dropped the fine. LADDH said it would take the case to the Supreme Court. October 2016 Because of Slimane’s deteriorating health, his family and LADDH appealed for a presidential pardon, without success. November 2016 In early November, Slimane was moved from Bel Air prison in Sétif to Constantine prison in the east of the country. Fellow prisoners made a plan to attack him when he defended Christianity and freedom of expression following an inflammatory sermon by an imam who incited hatred against Christians. A prisoner who became aware of the plan warned prison guards, who separated Slimane from the other prisoners. His daughter Thilleli visited him in Constantine prison and said that, while he tried to hide his fears from the family, she saw that he was terrified. She petitioned the government to transfer him to Oued Ghir Prison in Bejaia (in the Kabylie region), without success. 8 May 2017 Slimane was transferred from Constantine Prison to Jijel Prison, on the coast 300 km east of Algiers. 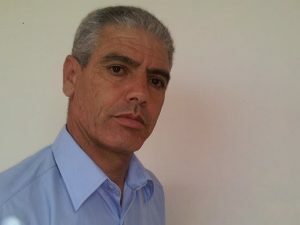 There had been concern for his physical and psychological health following assaults by fellow prisoners in Constantine Prison, and his family had been particularly worried that he would be further abused there during Ramadan (from 27 May). Constantine and Jijel prisons are known to have radical Islamist movements. 5 July 2017 Algerian president Abdelaziz Bouteflika granted Slimane a partial pardon, reducing his three-year sentence by 16 months. The pardon was granted on the 55th anniversary of Algeria’s independence and Thilleli announced it after the public prosecutor informed family members. They say good conduct contributed to the pardon. 2 October 2017 A court rejected an application for parole. Slimane’s family had applied because his health was deteriorating due to inflammatory rheumatism, which requires a special diet and worsens under stress. His family told Middle East Concern the application “was supported by medical records to prove the seriousness of his health condition, plus a record of good conduct whilst in prison”. The court rejected the application without providing a reason. After the rejection, Slimane went on hunger strike to demand a transfer to Oued Ghir Prison in Bejaia, his home province. He ended the hunger strike in mid-October – his family was extremely concerned for his physical and psychological well being and had urged him to end it. 31 March 2018 Slimane was released from prison, having served his twenty-month sentence. Read more about the persecution of Christians in Algeria.